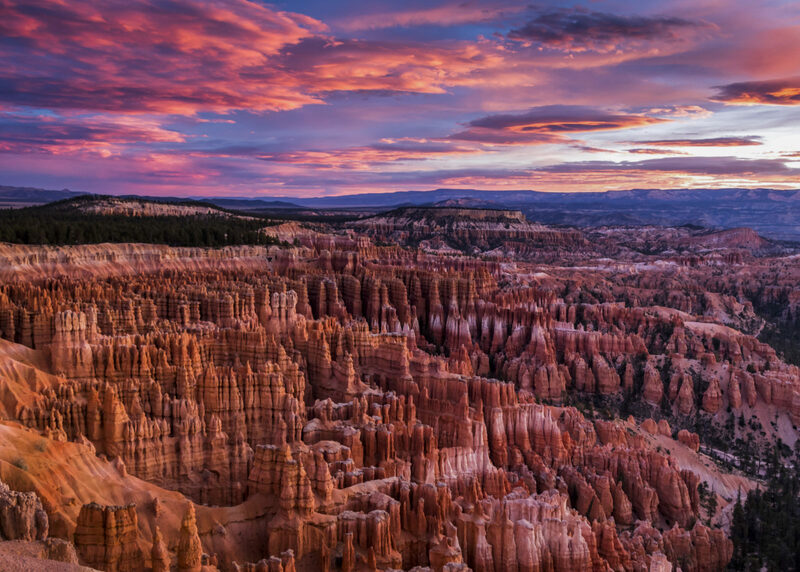 We'd arrived late and hadn't gotten much sleep, but we'd heard that sunrise was the time to see the Bryce Amphitheater at it's best. We got out into the cold fall morning long before dawn so that we could be ready when the light began to make the hoodoos come to life. We knew that the sunrise would be spectacular, but we were not prepared for this!